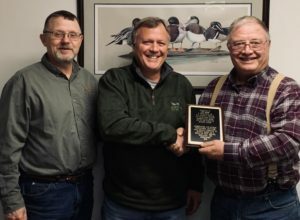 An outgoing Guthrie County Conservation Board member recently received a plaque of appreciation. Board Member George Hemmen presented the plaque to Jeff Bump commemorating his 22.5 years of service. 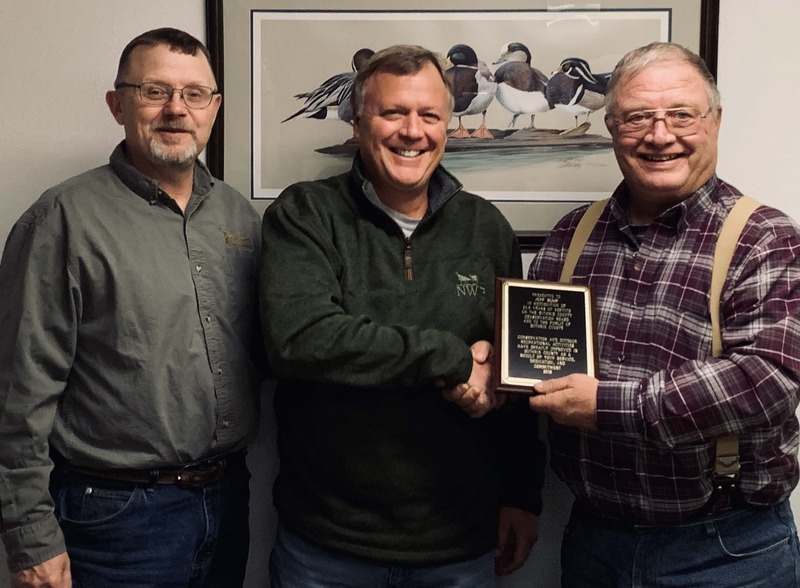 Conservation Director Joe Hanner described Bump’s service as “Years of tremendous growth in the program made possible by solid leadership.” Bump’s board seat is now filled by Scott Stanley who was appointed to serve a five-year term beginning this January.